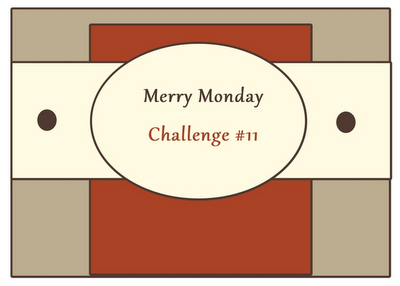 I love this weeks sketch at Lesley’s Merry Monday Challenge! 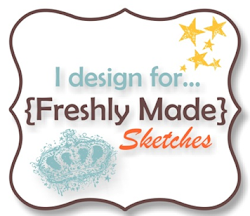 This sketch is a great one that can be used for any occasion – I may have to remember it and use it again – thanks Lesley for coming up with a fantastic sketch again! The hail stones were massive and really hurt! 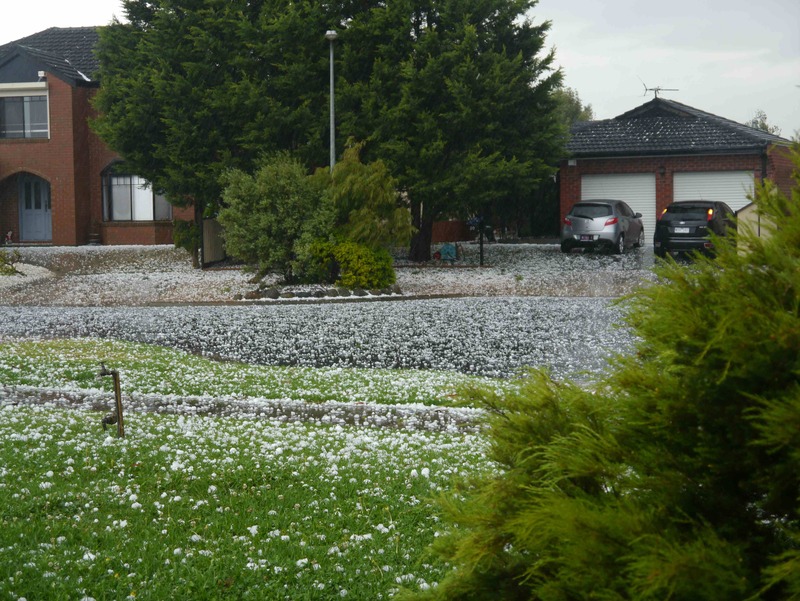 The hail storm lasted for about 15 minutes and by the end of it, all of our cars were smashed. It was a Christmas Day to remember! Well, I love your card…we forget that you “down under” have the opposite weather on Christmas. I must say, those are some BIG hail stones!!!! What a memory! I like the little scene you’ve created….I don’t do them very well, but I think I might be able to recreate this one! Great sketch, and I love the card you created. The monotone look is so great, and you always give it a special punch! Thanks for the inspiration. I love your card, you did a great job with the scene and bow. 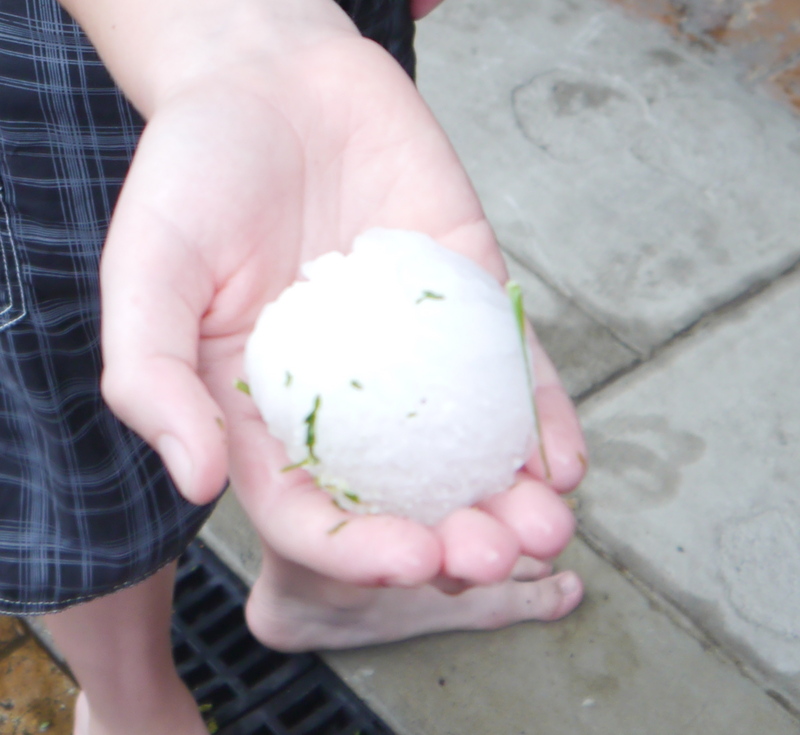 Oh my goodness, that is a huge hail stone, what a memory. very pretty monotone card. I really like the scene you’ve created! Hope this Christmas is hail free!! 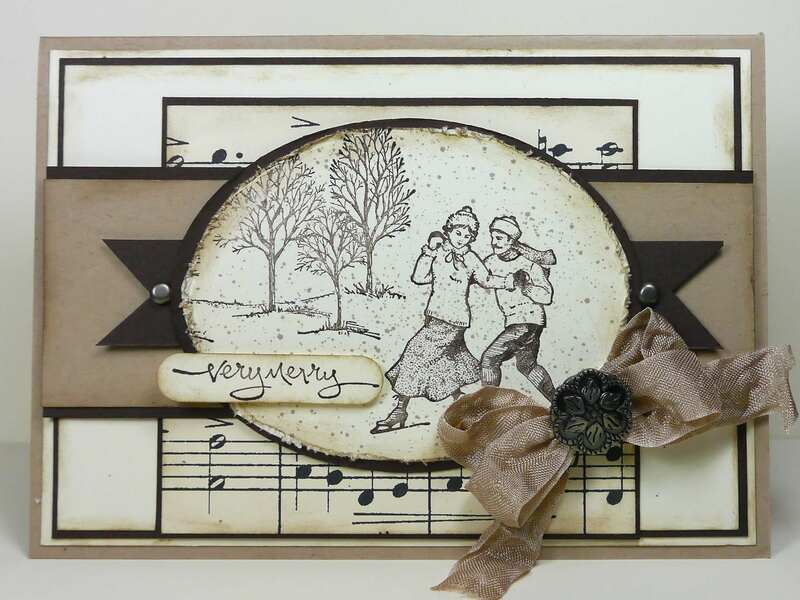 Awesome Narelle, love the neutral colour theme and the mix of stamps. Cannot BELIEVE those hailstones! WOW!